Tired of High A1c's, finger sticks, high pharmacy prices and scared to death of losing a limb or going blind? This is not a scare tactic though. You and I both know this is real life with real consequences. Have you been making choices that always seem to undermine your diabetes goals? Do you have a few bad diabetes habits you need to break? Are you tired of being confused and feeling like you don't really know how to lower your A1C? Is it just hard to stay on track? You have Type 2 Diabetes. You WISH you were managing better, but you don’t know where to begin. You have had diabetes so long your routine is on autopilot (in a bad way). You’re ready to push the reset button and get really clear on what's not working. You're ready to create a strategic plan to go from checked out to in control of your diabetes self-care routine. 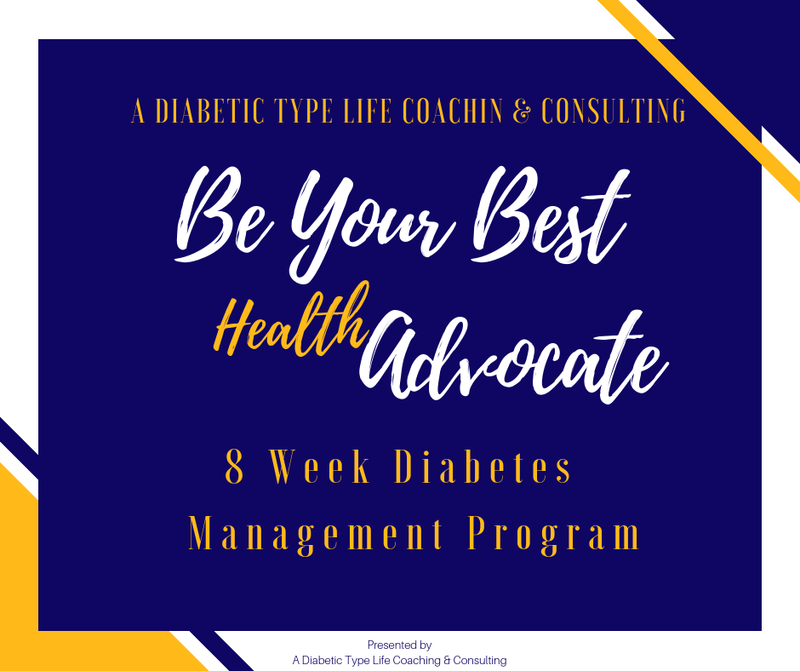 Be Your Best Health Advocate (BYBHA) is an 8 week diabetes group coaching program designed help you identify what’s getting in the way of your success, educate you, motivate you and take you from checked out to in control of your diabetes. Reclaim Your Life! An 8-week hands-on experience working WITH Carmella on identifying the number 1 thing standing in the way of your diabetes success + a plan to help you keep pushing forward! BYBHA Lite is an introductory version of the flagship 90 Day Be Your Best Health Advocate Program. Help you identify “Your Why,” which is the reason you are not reaching your diabetes goals. My goal is to teach you how to stay motivated by managing your mindset as well as your diabetes. Weekly homework assignments (don’t worry, they’ll be thought provoking but very manageable, most importantly, you’ll get really clear and start seeing progress)! 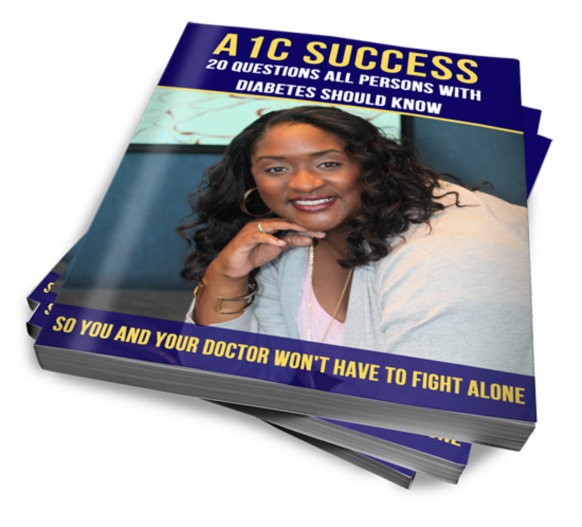 You will identify the number one issue standing in the way of your A1C success. You’ll walk away with a fully crafted plan that will propel you over the biggest hurdle (not testing, feeling like a failure for knowing what to do but not doing it, fighting yourself over food and exercise) you’ve been tripping over for weeks, months or even years. You’ll feel accomplished, capable and free from all the diabetes baggage you’ve been carrying. Carmella has created this format because she wants to be able to work as intimately as possible with a hand-selected group of individuals who are living with diabetes to give them the guidance they need to create the change they need to reclaim their lives. She’ll walk you step-by-step through ADTL’s customized Push Through method that is valued at $1,200, but is being offered to you at a fraction of the price. You’ll get access to everything from the in-depth worksheets and exercises to proven processes to equip you with the tools you need to finally eliminate your biggest barriers. Helping people change their lives by acknowledging what they really want, being clear about their truth and being honest even when it hurts. - Looks for poorly constructed ideas (i.e..LIES) you are telling yourself about diabetes (a person or situation). - Then we compare the new story to the decisions you've been making to see if these were the right choices for you? - With this information Carmella constructs a list of new possibilities and choices that are inline with the outcomes you are looking for. - Then you will PRACTICE PRACTICE PRACTICE!!!!!!!!!! - From here we work on living, implementing and tweaking your new process. She believes you deserve to live a good life where you improve your health, add healthy years back to your life and reclaim your life. 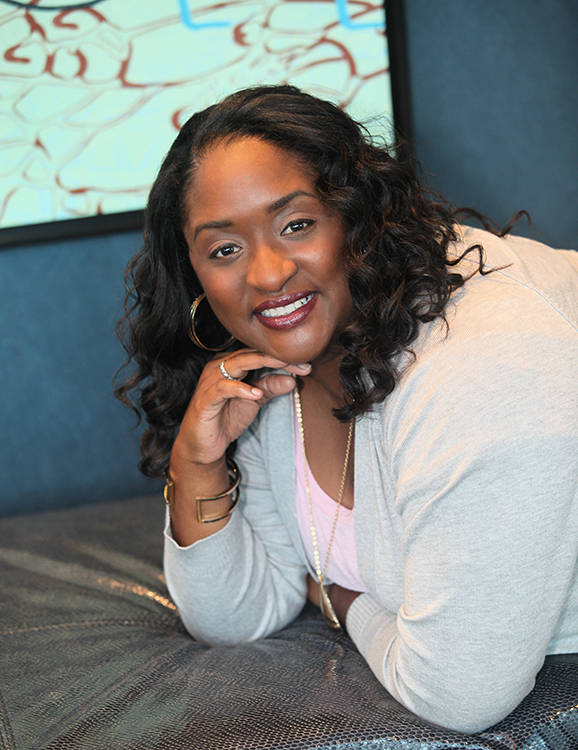 She’s here to help you create a plan that will help you fit diabetes into your life instead of your life around diabetes. This can be as easy or as hard as you want it. Identify what’s not working and identify their triggers. Create a Next Steps Plan to continue the progress acquired from the group. While Carmella has a value-packed outline of what will be in the course, this is an introductory round, which means the content will be determined by what YOU most need help with and desire to learn. You'll be able to ask a ton of questions and get Carmella’s direct feedback on your mindset and diabetes routine—no future students will have access to this program at this cost! Carmella is taking 15-20 people MAX inside of this experience. The doors will close on October 8th at 11:59 pm CT.
Ready to reserve your spot?! You get out of the program what you put into it. Carmella will be walking you through the exact process she takes her one-on-one clients through. Carmella is HIGHLY involved inside of this program and will be available to walk you through any questions, hurdles, decisions, etc. you experience along the way. There will be opportunities every week to receive input and get her feedback (as well as the community’s), and even done with you planning! So you are never alone in this. As for the time involved—you’ll have to be committed to making sure you carve out time each week to do your assignments. This program is an investment into your future, so don’t let it go to waste by not showing up for yourself. Most of your assignments should take no more than 20-30 minutes, unless you decide to dig deep and spend more time in action (Yass, Do It). She totally gets that most people who join this course may have little or NO technology experience. She’s intentionally designed it to be super simple, yet powerful, so you don’t feel overwhelmed or out of your league. We’ll be using an app called Marco Polo to complete (video) homework assignments and she’ll be creating pre-made templates for you as well as providing step-by-step directions through anything technical. Don’t worry, She’s got you! This will be fun! Marco Polo is a video messaging and video hosting service mobile app. The app has been among the most popular free apps in the world since 2016. The app was created in 2014. The app markets itself as a video walkie talkie. We will also be using ZOOM for our group meetings. One of the reasons she is keeping the number of participants low is to ensure you each get a chance to share and get feedback from her. Also, it is very beneficial to learn from others and to see that you aren’t the only one dealing with all things diabetes+more. As for, one-on-on coaching, Carmella would love to help you! She’ll be offering some special services ONLY for the people who are inside of the BYBHA Lite program. While it would be IDEAL for you to make ALL the calls, she understands that sometimes it’s just not possible. Each and every group call will be recorded so if you can’t make it for whatever reason, your homework for that week will be to catch up on the replays. Easy! Also, Carmella will be SUPER available and is committed to answering questions inside of the Facebook group if there’s anything you need answered! What are people saying about Carmella & A Diabetic Type Life?